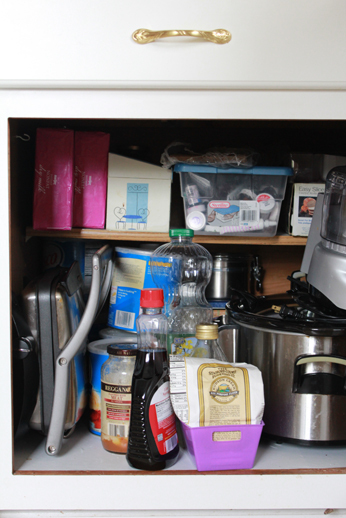 Let's fact it, most people have a place where they stash things they have no idea what to do with it - the infamous "Junk Drawer" and that thing turns into this monster that grows out of control. 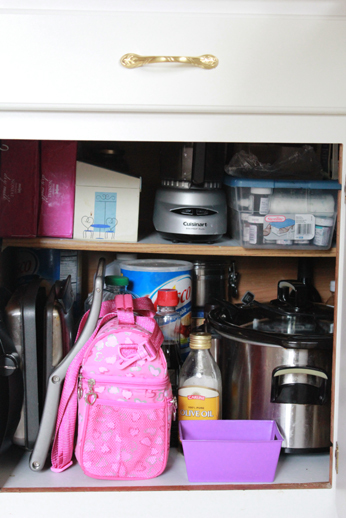 Maybe it is cluttered with orphaned items that you think you need to keep but have not designated a "home" or just items you don't feel like dealing with so you just toss them in this drawer. 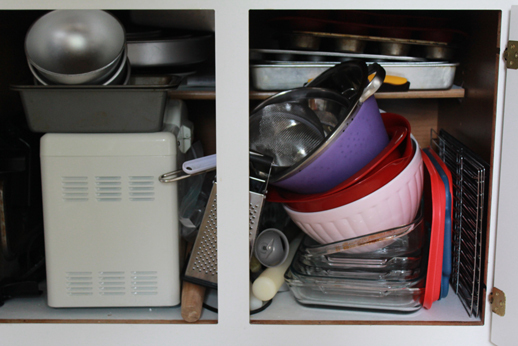 The only problem is without organization, you spend time rummaging through the clutter in hopes of finding the item only to discover it is lost in this mess. Or maybe it's just there and you can't find it so you go out and buy another one. Either way, the disaster that is tucked away out of sight makes for a lot of inefficiencies for you when you decide to look for something. This is what happened to our junk drawer and today I decided it was time to clear things out once again. I got a little carried away with the start and didn't get a before photo (oops) as my mind went into "cleaning mode"; however, I wanted to share with you some of the things I discovered that I did. The drawer what cluttered with batteries, pens/pencils, user manuals, bread twist-ties, candles, buttons, electronic chargers, etc. It was an overwhelming mess that I have chosen to ignore for too long. It seems like when we get a new kitchen appliance, my husband has a tendency to place the manual/instructions sheets in this drawer. Don't mind the fact that we have a folder in our filing cabinet that is dedicated to manuals. Again this is a convenient location for these items to be placed out of sight and dealt with later. I found about five in there today. I have since removed those for filing in the appropriate place. I went through and collected all of the "like items" and placed them in small piles. 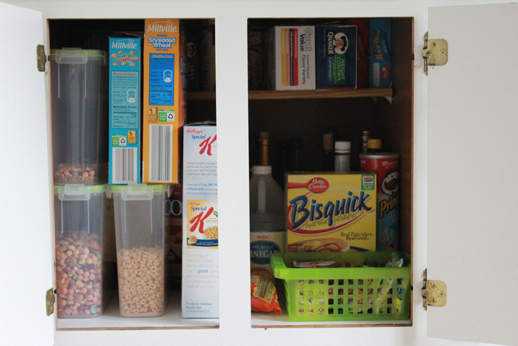 Sorting everything into categories makes it easier to return things into a drawer in an organized manner. I went through the huge collection of pens and tested to make sure they worked. If not, I tossed them. There was a collection of tiny broken toys that had been in the drawer for I'm sure five years and today I decided it was time to let them go. I'm not sure why we even kept them this long. I think the bigger toys they went to have been long gone. I pulled all of the craft items out (i.e. buttons, adhesive magnets, wiggly eyes, ribbon, stickers, etc) and have placed them in a pile to take to the craft area I am in the process of creating. 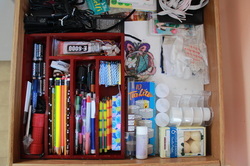 The drawer organizer I have re-purposed to sort batteries, pencils, pens, candles, and adhesives/super glue. I placed the extra 3M hooks and strips in a baggy to keep them together so they are easy to find. All of the tealight, votive, and battery operated candles are together. I used some of the bread twist-ties I located to in the drawer to bundle up the electronic chargers to the cords are no longer strung about in disarray. All-in-all it is a huge improvement from the before (which I wish I would have thought to take a picture of) and I should be able to find things more easily now. I'm still deciding if I can pull anything else out of there because I'm so done with keeping things we don't need or no longer use. Have you ever opened your refrigerator crisper and discovered a mushy mess of vegetables or fruits that have gone bad? Did you know that storing some produce in the refrigerator can accelerate the shelf life of the product? Today's mission is to educate myself and others on proper food storage for fruits and vegetables to reduce waste and help save you money. When you're walking through the produce section of your local grocer, you may notice that some vegetables and fruits are stored at room temperature while others are kept in a refrigerated section and misted periodically with water. Grocers do not want to waste good products before consumers purchase them; therefore, they are careful about how each product is store to ensure fresh products customers desire. Just like grocers, I don't want to throw away food because it has gone bad before I could use it due to improper storage. Some fruits will have a longer shelf life it kept at room temperature while other fruits will ripen rapidly if not kept cool. Some vegetables lose their texture when stored incorrectly in addition to reducing their shelf life. To help keep vegetables crisp and fresh it is important to keep them at the optimal temperature. Zucchini can be stored at both room temperature or in the refrigerator; however to prolong it's shelf-life store in refrigerator. Herbs should be rinsed, ends snipped, and store in a glass of water. You can also wash the herbs, cut off the ends, wrap in a damp paper towel, and store in a plastic bag. The essential part of this is to maintain moisture so the herbs do not wilt. Basil is one herb that does not like to be stored in the cold. Store this herb in a glass of water on the counter to maintain freshness. Eggs should be stored in the container they come in and not in one of those egg organizers you may find included with your refrigerator. By removing the eggs from their packaging they absorb odors that may also be inside your refrigerator changing their taste. 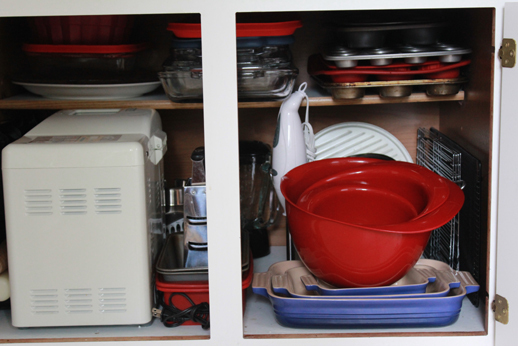 My kitchen just might be the hardest part of the house for me to keep organized simply because my husband has a tendency to try to be helpful and do dishes. While I appreciate his efforts to help, this always leads to things not being put back where I want them. Yes, I may have a bit of O.C.D. 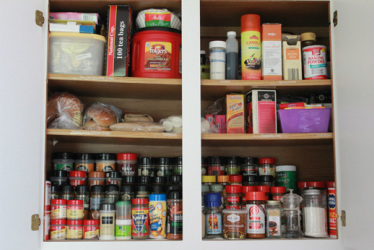 I cannot stand for my kitchen to be in a disarray because when I'm cooking I want to be able to go right to what I need without having to search for it. 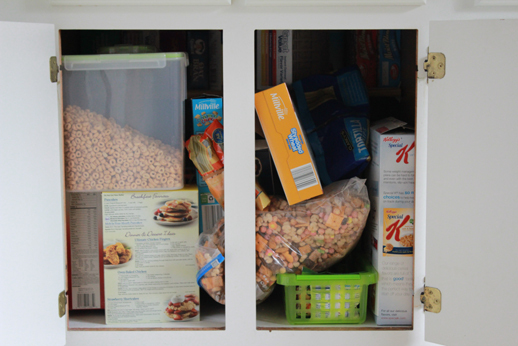 Then there are the kids who help themselves to snacks and again the cabinets look like a tornado attacked them. Ok, maybe they're not that bad because I did just do a major reorganization project back in May before I started this blog, but it was enough to bother me. Today's mission, straighten up the cabinets. 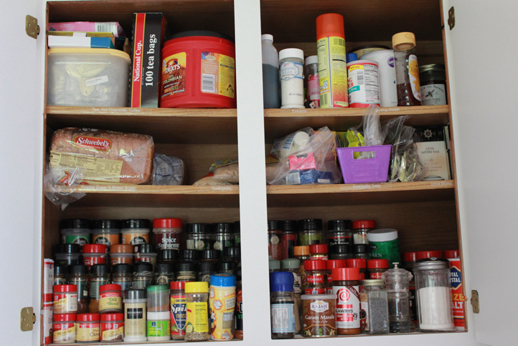 I spent about 5 minutes on each cabinet to straighten up the contents. Today I decided to share with you the mess that was and how I fixed it.